John Varvatos’ love for high quality timepieces clearly shines through in this new limited edition series from the versatile lifestyle designer. 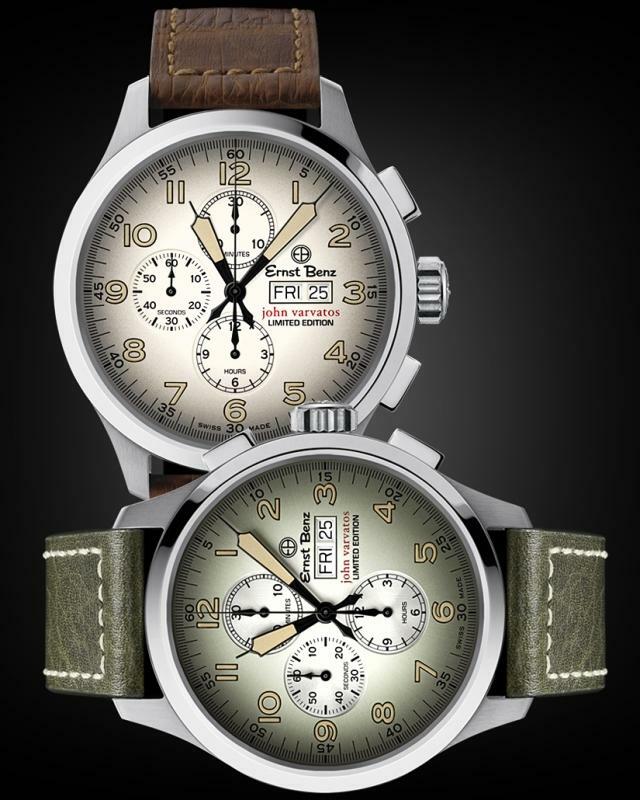 In partnership with watchmaker Leonid Khankin of Swiss watch brand Ernst Benz, the Vintage White and Olive are two standout watches. Varvatos, whose designs include men's footwear, belts, eyewear and fragrances, has limited the watches to just 250 pieces each. 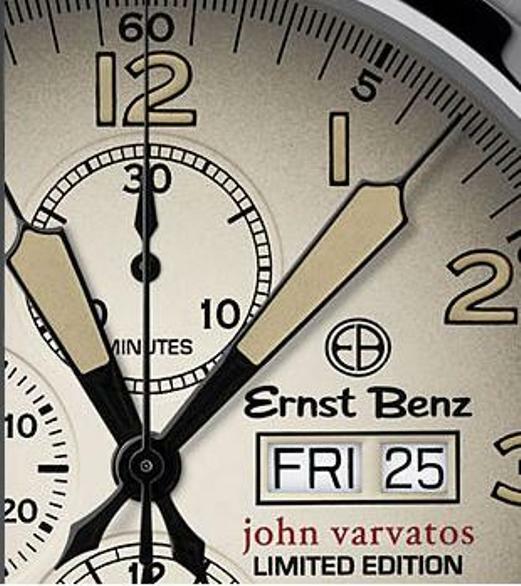 Individually numbered, the Ernst Benz by John Varvatos Limited Edition ChronoScope features contrast finishing with brushed and polished stainless steel. The watches adhere closely to Varvatos’ design aesthetic of ‘perfectly imperfect’. The unique dials feature sepia luminous numerals complimented by a distinctive set of hands inspired by a mid-century gauge. The striking 47mm watch shares the same level of construction craftsmanship as Ernst Benz’s Great Circle Collection. Both watches are powered by the trusty Valjoux 7750 self winding day/date chronograph movement with a power reserve of around 50 days. Exotic skin straps including crocodile and bison, with Varvatos signed buckles have been produced to compliment the new dial colours. Available exclusively at John Varvatos stores nationwide, the Vintage White and Olive are now being released exclusively this month in John Varvatos stores in the U.S. Retailing at US$6,800, they follow on from the first two highly regarded releases of the design partnership, the Vintage Black and Anthracite dials.